Not many people think of Poland as a popular tourist destination. 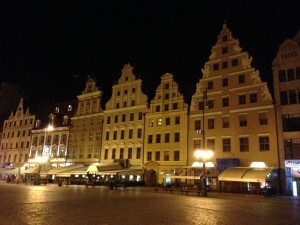 Even if they do, places like Krakow, Warsaw, and Gdansk usually come to mind before a city like Wroclaw. Don’t let that deter you from visiting one of Europe’s hidden gems. Located 340 kilometers by car from Berlin, 325 kilometers from Prague, and only 270 kilometers from Krakow, Wroclaw is a not far off the beaten path of many European tourists. Wroclaw also has an international airport that makes it easy to get to other great European destinations after a visit. The city is home to over 600,000 people and boasts a student population of around 100,000. 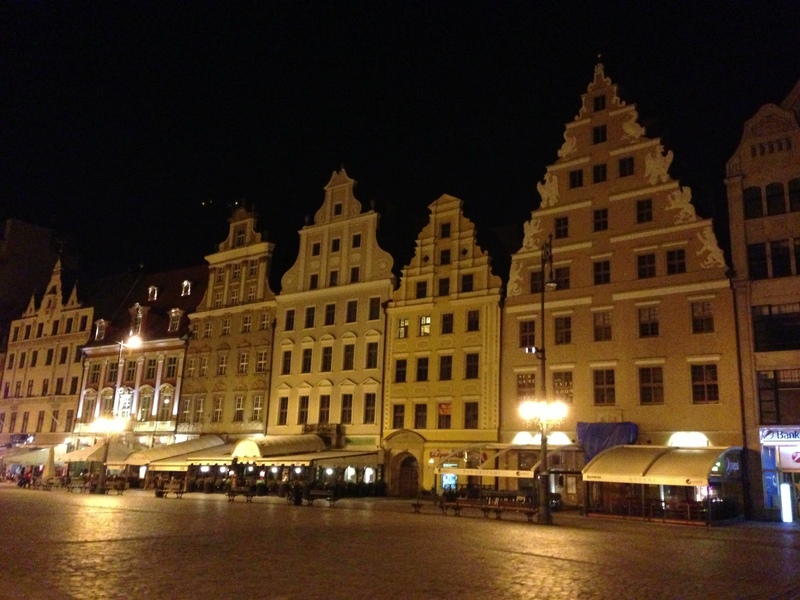 A popular choice for European Erasmus students, its no surprise that Wroclaw has a bustling nightlife. 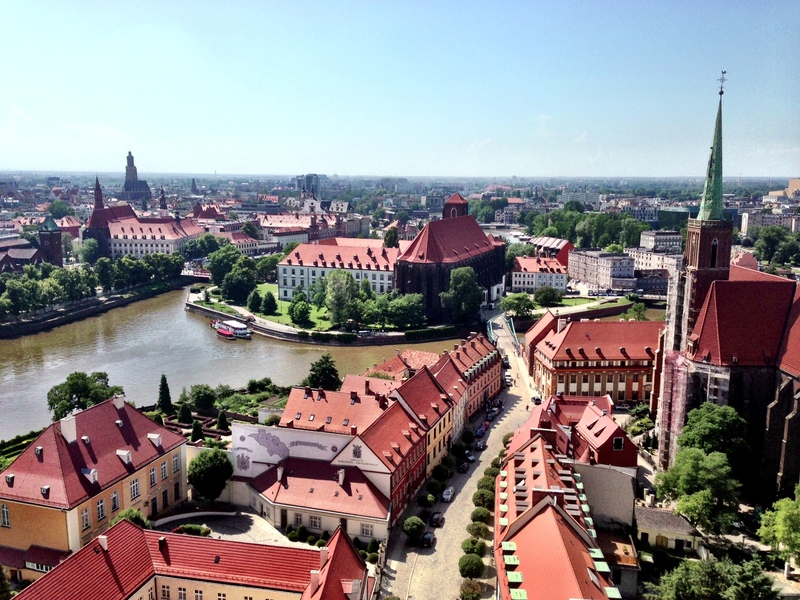 An interesting note about Wroclaw is that much of the city was destroyed after the second world war. The majority of the buildings have been rebuilt to replicate the way they looked before they were damaged. This has left the city with newly built buildings in the old architectural style. What is there to do in Wroclaw? For starters, try the pierogies. This is Poland so expect some of the best pierogies in the world. There is a touristy pierogie restaurant in the main town square called ‘Pierogarnia Stary Mlyn’ that is decent. However, to get the real experience try the restaurants outside of the old town square. To finish off the meal make sure to have another Polish specialty, Vodka. Expect it to be served ice cold straight out of the freezer. 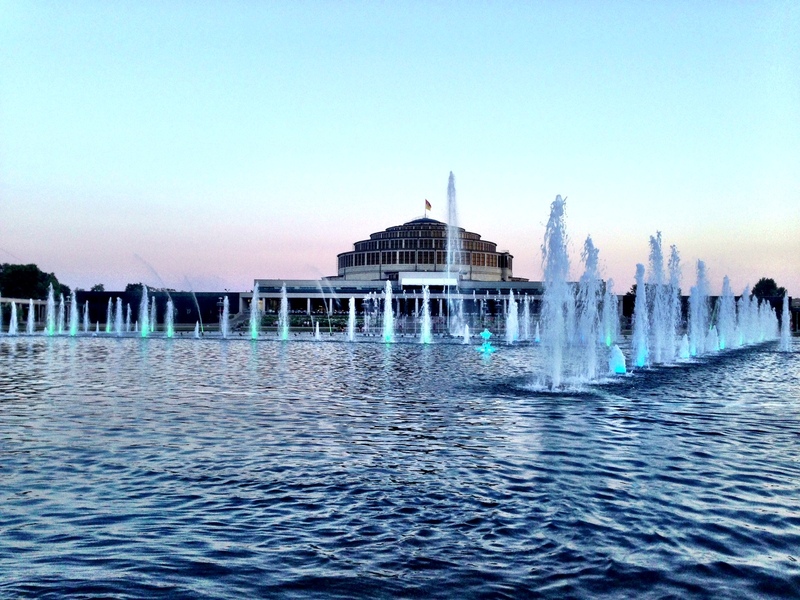 For some great free entertainment on a sunny day or warm evening, check out the water show at the Wroclaw Fountain beside Centennial Hall. The show runs from May until the end of October and starts every hour between 10 AM and 10 PM. 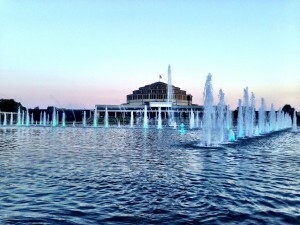 The fountains display a choreographed show with lights that run in sync with music. The music changes hourly and changes to dance music later in the evening, perhaps to cater to the large student crowd that like to attend the show. Keep in mind that it’s not permitted to swim in the water. With it’s spectacular architecture, lively streets, and unique culture, Wroclaw might start showing up on the travel plans of more North American tourists.